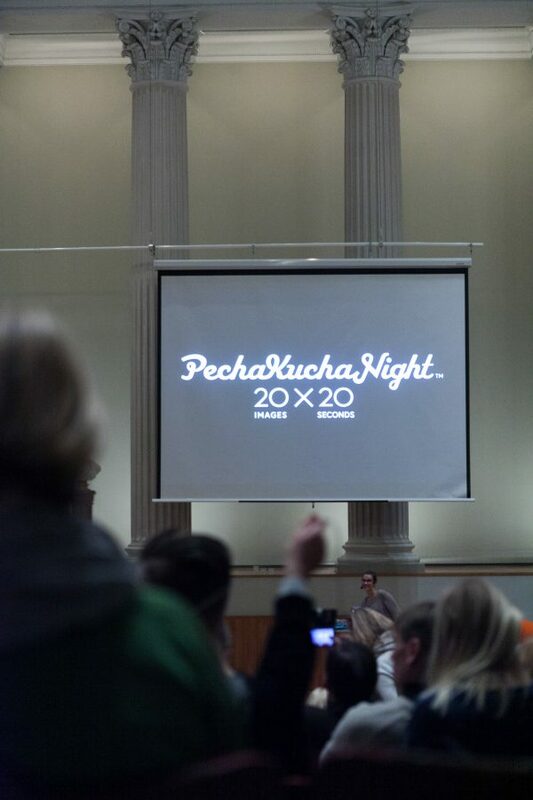 The annual PechaKucha Night organised by Helsinki Design Week and the University of Helsinki will be held once again at the historical Great Hall of the Helsinki University’s main building on Thursday April 4th at 8pm. Ten speakers from the fields of science and arts will be talking about actual topics and sharing their greatest sources of inspiration. The word “pecha kucha” means “chit-chat” in Japanese. It is a presentation concept introduced by the Japanese architect agency Klein Dytham for the first time in 2003, after which it has then taken off and spread to over 800 cities around the world. In a PechaKucha presentation the speakers can show a total of 20 pictures, each of them for only 20 seconds, resulting in a presentation of only 6 minutes and 40 seconds. Based on our experience from the past years, we can expect inspiring, exciting and surprising presentations from artist, designers, academics and scientists. Find out more about this year’s speakers here (in Finnish). Tickets: 20 €, students, members of Design Museum and Grafia: 10 €. Buy tickets here. Now Reading The PechaKucha Night 2019 is here again!